How to deal with Holiday depression? While the holidays are often a very joyous time, they can also be a very stressful time. All the planning, organizing, spending, and group events can become very overwhelming very quickly. It isn’t uncommon for the stress of the holidays to trigger feelings of sadness and depression even. While it is the holiday season, people are often expected to uphold a certain cheerful exterior. This pressure to be happy can often cause the feelings that are quite the opposite. There are multiple contributing factors to holiday depression, but luckily there are also ways to cope with these feelings. Often holidays can lead to disappointment. Why is that? Many times, we get our hopes up about how things will play out over the holidays, whether it is expectations of other people or of ourselves. Try to keep your expectations in a balanced state to avoid getting let down or letting others down. Remember that things going wrong is a part of life, don’t expect everything to be perfect or you are bound to end up disappointed. Stay positive, but don’t build up your expectations. Many people tend to overdo it during the holidays. Whether it is the number of social events they host and attend, the presents they buy, or the food they eat, it is common for people to overdo it during the holiday season. Try to maintain balance, learn to say no, and learn to give yourself a break and time to relax. As per usual, it is all about balance. Things happen, jobs happen, families happen, and delays happen. If you aren’t able to be with your loved ones this holiday season it is okay to be a little blue, but don’t sit around and focus too much on it, instead make a plan. Find some close friends to spend time with, make a plan to see your missed loved ones after the holidays are over, volunteer and help the needy, etc. A lot of holiday funk can occur due to our abrupt change in diet and exercise. Try to not overdo it with the holiday treats and try to keep up with your daily 30 minutes of intermediate exercise. Eating too much sugar and starch as well as laying around too much is one of the most common contributors to the holiday blues. Not planning ahead can lead to anxiety and stress. Know what to expect this holiday season and get prepared ahead of time. Don’t wait until Christmas eve to do your Christmas shopping or leave holiday cards to the last minute, stay ahead of the game and prevent some of the holiday anxiety. 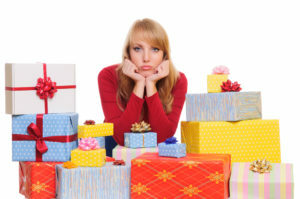 Overspending is another huge contributor to holiday depression. Come up with a budget, and don’t surpass it. If you are feeling lonely or down during the holidays, isolating yourself isn’t the best thing to do. Try and surround yourself by friends, volunteer somewhere, talk to someone etc., but try not to isolate and deepen your depression. If you feel like you just can’t beat the holiday depression, you should consider speaking to a Dallas psychologist. An expert will know what it takes to help get you through times that trigger these types of downward spirals. Remember these holiday-depression coping tips this season and beat the holiday blues. If planning ahead, surrounding yourself with loved ones, and keeping a balanced lifestyle aren’t enough, then consider depression counseling in Dallas. Here at Lifeworks one of our expert counselors can help. If you have any questions or would like to schedule a consolation, give us a call today.